We’ve featured MasterImage, DepthQ and Volfoni, but the 3D presentations at this year’s CineEurope will be courtesy of RealD. Exhibiting from the grand CCIB Auditorium, RealD will be at the very heart of the proceedings using our innovative 2D and 3D-optimised Precision White Screen (PWS). Benefiting from extra wide viewing angles and brighter edges, RealD ensures an unprecedented quality of image for this year’s best upcoming releases. Experience the future with us in in Barcelona. We look forward to seeing you there. Discover more in room M213. As if we weren’t tempted enough by the ECA Lounge or the Coca-Cola bar at CineEurope, who can resist this tempting invite from Sony? 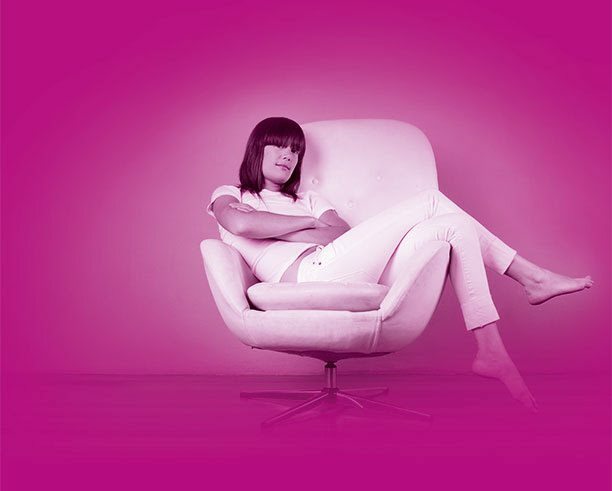 Unwind and relax in our chill out zone on the first floor at CineEurope 2014 from 16-19 June in Barcelona. Relax on our sofas, charge your phone with our power outlets and play with the latest 4K tech. Only a few more days to go now until CineEurope 2014 kicks off in Barcelona. See you there. NEC will be showcasing its projectors at CineEurope, including the new laser-illuminated one. NEC Display Solutions offers an extensive portfolio of advanced DCI projectors and digital signage solutions with 3D capabilities and 4K resolution tailored to any size cinema, screening rooms and foyers. NEC Display Solutions welcomes your attendance also at a special event to present the first DCI confirmed Laser projectors, held on Tuesday 17. June and Wednesday 18.June 2014 at 10.00 and 14.00. 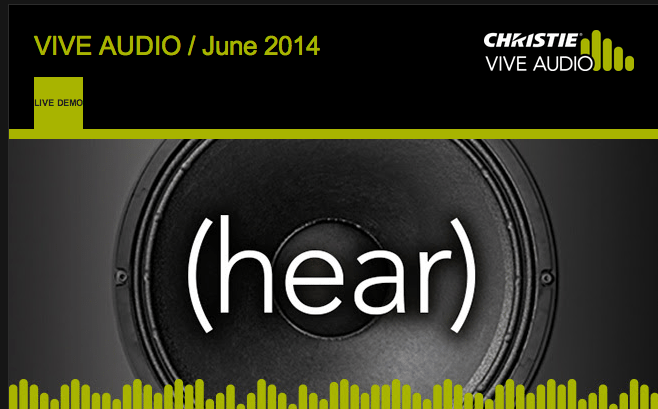 Christie brings its Vive Audio to CineEurope and will be holding demonstrations. Earlier this year Christie introduced Vive Audio to complete the cinematic experience and unlock the potential of the DCI digital audio format. Christie Vive Audio combines high performance line array speaker design with ribbon driver technology. You can read more about that here. Though we would rather you heard about Christie Vive Audio, than read about it. And now you can. That’s it for now. We are getting ready for CineEurope. Expect to hear lots from us next week.